Every Tuesday, T-Mobile gives away freebies to subscribers, and also holds a contest with some great prizes. 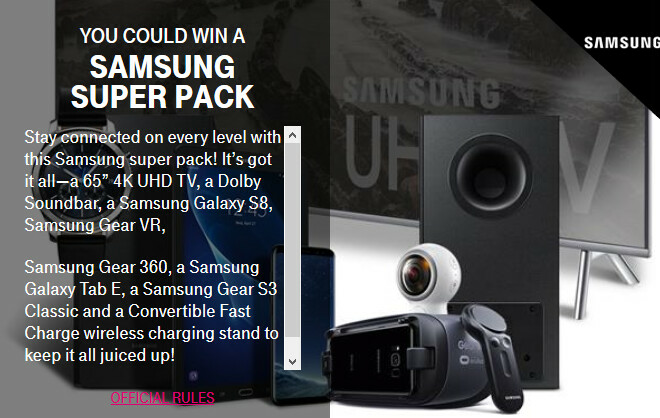 This coming Tuesday, Samsung figures very heavily in the contest prizes, including the Samsung Galaxy S8. We'll get to the contest in a second. First, let's go to the giveaways. 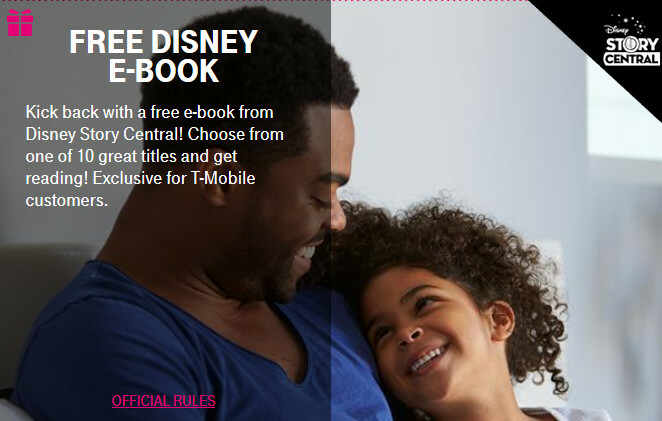 On Tuesday, T-Mobile subscribers will receive a free e-book from Disney Story Central. There are 10 possible options to choose from. Next week, T-Mobile subscribers will get access to HotelStorm's discounted locations with an average price break of 25% on each hotel. 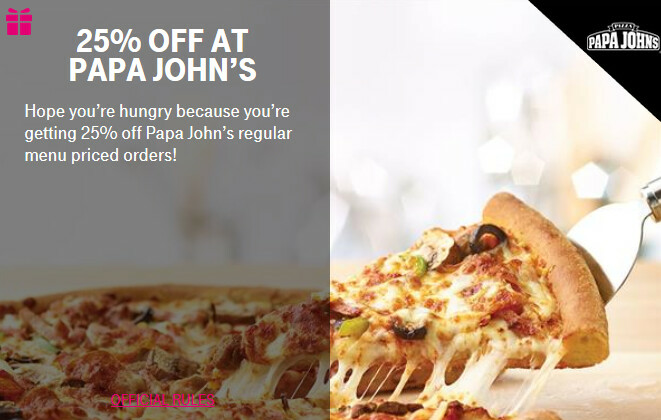 How does 25% off an order placed from Papa John's regular menu sound? Yup, it sounds delicious to us too. 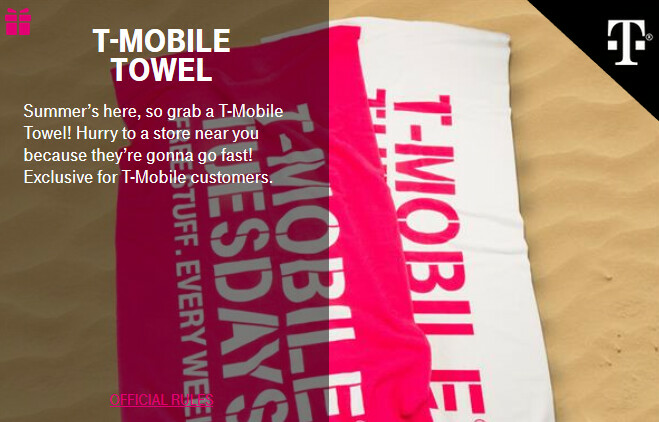 It happens to be one of the weekly giveaways for this coming Tuesday.. And T-Mobile subscribers are eligible to head to their local T-Mobile location to pick up a free T-Mobile towel. Now for the contest prizes. For the upcoming week, one Grand Prize Winner gets to clean out Samsung. 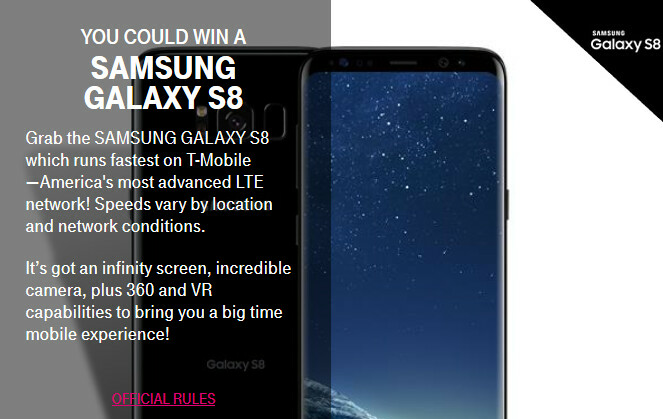 The prizes include a 65-inch Samsung UHD Smart TV, a Sound Bar system, a Samsung Galaxy S8, a Gear 360 VR headset unit with controllers, a Samsung Galaxy Tab E tablet, the Samsung Gear S3 smartwatch and a convertible Fast Charging stand. A check in the amount of $2,160 is included for the winner to use toward paying taxes on the prizes, or to use for any reason as decided by the winner. Twenty-Five First Prize winners will be sent a Samsung Galaxy S8 and a check for $322. 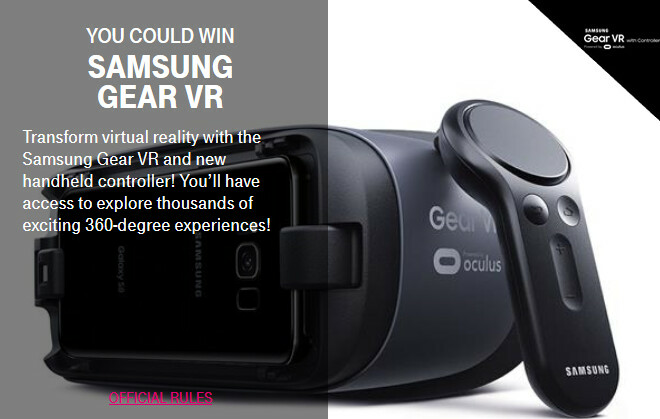 And One Hundred-Fifty Second Prize winners score a free Gear 360 VR headset and controllers. Not a bad haul to say the least. This coming week's contest has 176 prizes up for grabs with a value of $53,498.50. Good luck! No thanks, I want my devuce. And that devuce sounds like divorce, kind of. 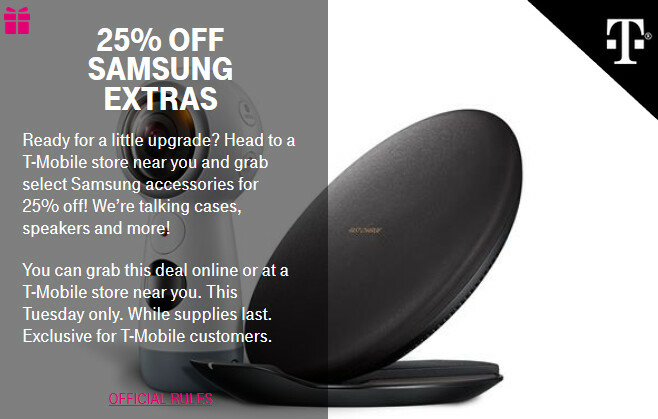 I'll take a few of those Samsung devuces please. I never had a Devuce... (I still want to win it none the less) but, what is a Devuce? Do they come with covfefe? I feel uncomfortable typing on it's narrower than S7 keyboard.